Mac & Fulton Talent Partners have expanded our services to include controlled environment agriculture recruiting. This unprecedented decision makes us the only staffing agency to specialize in vertical farming and urban agriculture. As such, we are the the industry authorities on horticulture jobs and hydroponics careers. The team at M&F Talent has established itself as the “go to” staffing agency for major players in the hydroponics product industry. We have accomplished this by facilitating hires relating to sales, chemistry, engineering, and agronomy. Similarly, we have stimulated progressive movements in the cannabis and horticulture sectors. We have done this largely by establishing the industry’s first Cannabis Resume Writing Service. Looking to staffing for controlled environment agriculture operations, M&F Talent realizes that our technical approach to recruiting provides a seamless transition into urban agriculture and beyond. 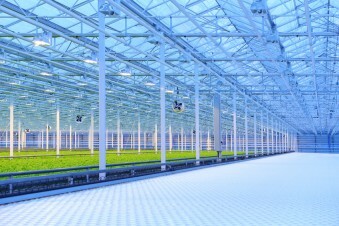 Largely because, our talent pool is comprised of industry leaders in modern horticulture. We feel that as the cannabis, hydroponics, and CEA industries continue to grow and expand, they will eventually solidify into a larger movement based on the same knowledge and principles. M&F Talent’s controlled environment agriculture recruiting services facilitate full-time hires in all facets of urban farming. For starters, our horticulture staffing experts have been in touch with some of the largest vertical farming operations in the world. As such, these companies have reached out to M&F Talent to locate agronomists and operations managers. Similarly, M&F Talent has shown a particular interest in grow containers and their cultivation technology. These heavily engineered, pre-built pieces of equipment speak to our strengths working with technical careers. Finally, our CEA staffing efforts have focused heavily on greenhouse construction and design. To this end, we have conducted searches for Commercial Electricians, HVAC Technicians, and Electrical Engineers. M&F Talent is honored to be a part of the urban agriculture and CEA movements. Ware interested to see where this industry goes. If you have any questions about our controlled environment agriculture recruiting services, please ask!